In an abandoned building, at a bus stop, on the sidewalk, under a freeway overpass. Earlier this year, coalitions in Seattle and Portland conducted a one-night count of the homeless population in King and Multnomah Counties respectively. Both counts occurred at the end of January 2015, providing a snapshot of the individuals and families experiencing homelessness in the middle of winter. In Seattle there were 10,047 people counted as homeless on the night of Jan. 23, 2015. The Seattle/King County Coalition on Homelessness found 3,772 people sleeping on the street, 3,282 people in shelters and 2,993 people in transitional housing. Multnomah County counted 3,801 people who were homeless; 1,042 people who were sleeping in transitional housing, 872 people who were in an emergency shelter and 1,887 people who were unsheltered on the streets. Some of the difference can be attributed to the size of the counties. The population of King County is 2.044 million people according to the United States Census Bureau 2013 estimate. In contrast, the census calculation for Multnomah County is 766,135 people. In King County, there was a 21 percent increase in the number of people who were without any shelter, compared to the 2014 count of 3,123 people sleeping on the street. In Multnomah County, the number of unsheltered people held steady from the previous count in 2013, the number of people in shelters and transitional housing decreased. According to the Multnomah County Point in Time report, the decrease can be attributed to an increase in homeless services and a change in the definition of homelessness. The Department of Housing and Urban Development used to include people in “rapid rehousing,” people who used subsidies and rent assistance, in homeless counts, but doesn’t anymore. Including people in rapid rehousing would increase the number of homeless by 800 people. Rapid rehousing beneficiaries are primarily people of color, women, families with children and domestic violence survivors. Though the Multnomah County numbers have decreased slightly, the gains have not benefited people equally. Communities of color are overrepresented in homeless counts compared to their percentage of the general population. African Americans have the highest relative rates of homelessness of any race with 24 percent of the homeless population but make up only seven percent of the county. 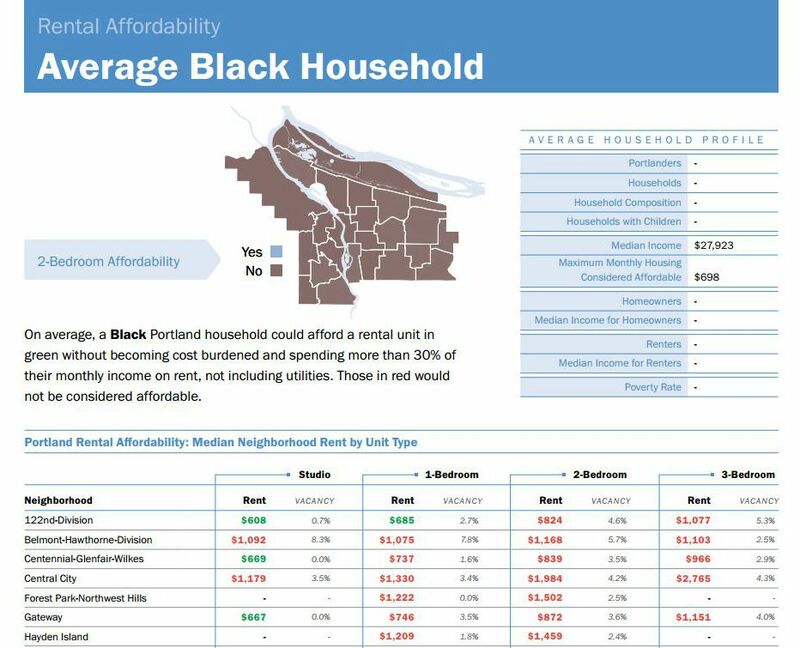 The recent "State of Housing in Portland" report from the Portland Housing Bureau concluded that African Americans have been priced out of nearly every neighborhood in Portland. With the median income of $27,923, the average Black resident would need to find rent lower than $698 per month to be considered affordable. With those constraints, one could possibly afford a studio apartment in Parkrose, Centennial, Gateway or past 122nd and Division. Those neighborhoods have few to no vacancies, according to the State of Housing report. What is harder to count than the unsheltered homeless are those who are couch surfing, or people who have unstable living arrangements. 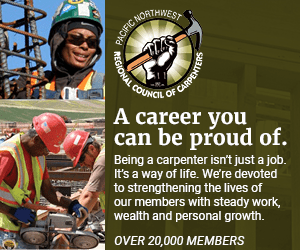 The Multnomah County Point in Time count tried to estimate those who were “doubled up” – that is, living with friends and family for economic reasons. From Oregon Department of Human Services food stamp data and school district homeless student counts, the study estimated 12,543 who were doubled-up on the night of the count. The study also found that communities of color were more likely to be those who were doubled up. In some instances, cultural barriers kept people from getting help from mainstream services. In other cases, these communities were reluctant to turn to mainstream and government agencies for assistance due to legacies of distrust. The report stated that these communities were more likely to help each other before getting outside help, even if it means burdening a household that is already strained from poverty.